CONGRATULATIONS BROOKE D. You've Won our GIVEAWAY! Which part(s) of The Winner's Curse did you find was the most fun to write? Tell us 5 Things about The Winner's Curse readers don't know. 1. Valorian aristocracy is very new—and mostly trumped up. If the Herrani hadn’t been conquered and their own culture ripped apart at the seams, they would take one look at these “lords” and “ladies” and laugh and laugh. The Valorian emperor is the first of his kind; he didn’t inherit the title from anyone, he named himself emperor after decades of orchestrating the seizure of other territories. Lady Kestrel is a lady only because her father has been awarded lots of land and gold after his military successes. 2. Kestrel’s father was born into poverty. 4. Although Arin is physically formidable, he’s not at all comfortable in his body. It doesn’t fit the Herrani aesthetic of beauty he grew up with, and every day he is conscious that not only do the Valorians own his body, but they are also responsible for how it looks, from size to muscles to scars. In every way, physically and emotionally, he feels that the person he should have become died on the night of the invasion. Arin is perpetually living with the ghost of an alternate self. 5. This is the first book I’ve written where I felt like I was truly writing in my voice. 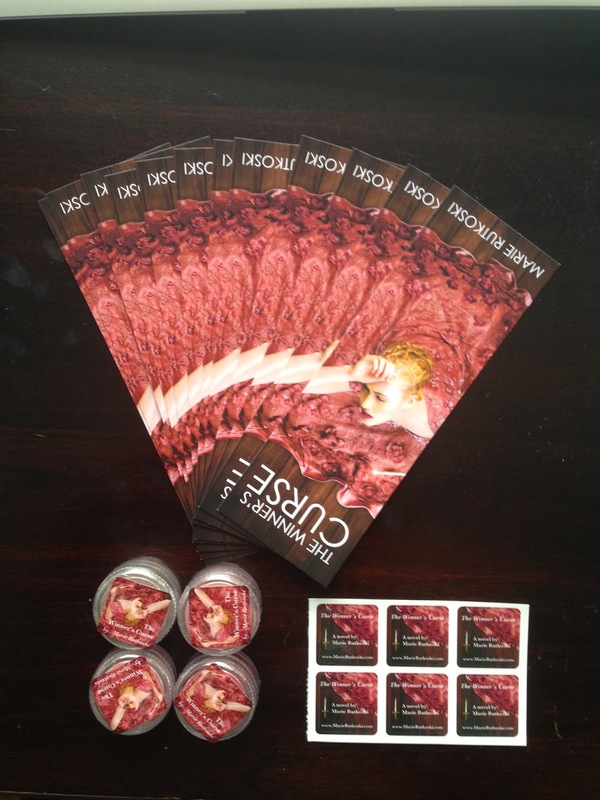 Want to win a copy of The Winner's Curse, along with some awesome swag? Leave a comment on this post, or check out my review, leave a comment, and tell us below. Please make sure to leave an e-mail address, or some way for us to contact you. Winner will be chosen one week from today at random. Tweet about this post and leave an additional comment below with your tweet URL. Share on Facebook and leave an additional comment below with your status URL. I've heard this book is really good! I can't wait to read it! Ohhhhh. This book sounds really interesting! LOVE these little facts!! It's so interesting that the conquered people would've laughed if they hadn't been so destroyed - and it must be very complicated for the General to have been raised poor and to be now so potent. LOVE the idea of the conquering people having changed his body as well as his mind and society. I commented on your review as well ( Christina R. comment ). LOVE the review - it really shows how much you love this book!! LOVE the synospsis for thi book and the cover art as well! I would love to read and review! My email is mcushing7@hotmail.com! Thanks for an awesome post and giveaway! Been dieing to read this book, I Loved Shadow society! I can't wait to read this one! So many good reviews so far. Sounds like such a great book and the cover is simply fabulous! Love reading the guest post! I have been wanting to read this one very badly! Have heard great things about it! Thanks for the chance! bhwrn1 (at) hotmail (dot) com. Congratulations, Brooke! You've won our giveaway! This book has been at the top of my must reads list! I can't wait to read it. I am dying to read this book!!! Love the cover!!! I am definitely adding this to my ever-growing TBR list. I can't wait to meet Arin and find out his secret. Thanks! I been dying to get my hands on this book because I heard and saw so many great reviews about it plus it looks and sounds amazing thanks for the awesome giveaway! Fabulous post! I'm so excited for this book, you have no idea. I has easily become one of my most anticipated of the year! The cover is gorgeous as well. AND the reviews have backed up the hype so far. So excited! Great, i can't wait to read this! Great, can't wait to read the book! Kissing and fighting- awesome combination! I've been dying to read this! And shared a link on Facebook! sounds like a read I would enjoy!!! 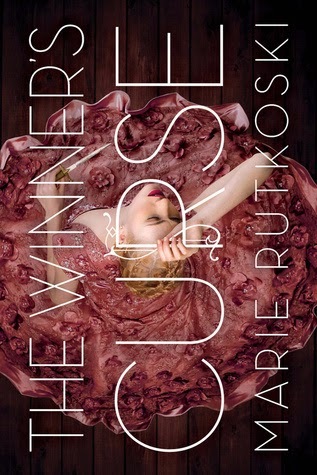 I've heard AMAZING things about The Winner's Curse and can't wait to get my hands on it! I want to read his book. Period. Because politics & a aristrocatic society in a world with war PLUS forbidden love is just the kind of read that undoes me. I want to read this so badly! I love the idea of Arin living with an "alternative self". I can relate. A lot of people probably can. I have been dying to read this for so long! Thanks for the giveaway! I can't wait to read this book I have heard so many wonderful things about it!!!! I cannot wait to read this! I've heard such good things! Ive been seeing teasers for this book all over social media. Can't wait to read it. And stare at the cover, amazing details! Great five facts! I'm so excited to read this book! Alternate worlds and political intrigue are my jam! I can't wait to read the rest of this book. Sounds amazing! Thank you so much for the giveaway! I preordered a copy, but I'd kill for one of those gorgeous bookmarks! I read the first 5 chapters for free on my kindle the other day... I can't wait to read the rest of it!! This book sounds so very lovely. I love that it has fantasy elements in it and betrayal and romance! cannot wait to read it, thank you for sharing. I read the first 5 chapters and already I'm hooked! The cover of this book is gorgeous!